Non-performers seem to be fascinated by the backstage. Photographers always want photos backstage and audience members want to sneak backstage. The magic and mystique of the backstage is so powerful, that when they do get back there, they don’t even look disappointed to find out that a Burlesque Backstage is usually an oversized cupboard with us chattering amongst ourselves while picking our G-strings out of our butts. 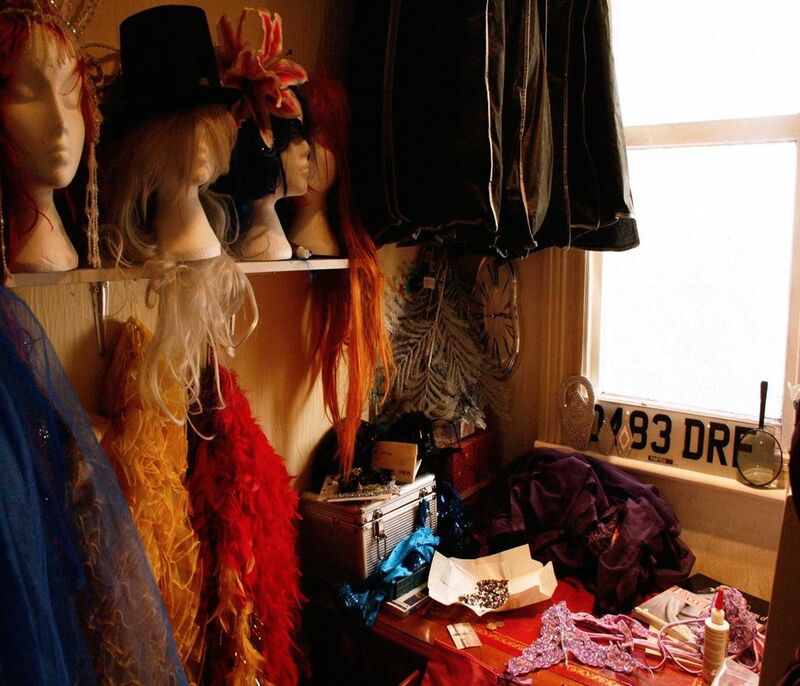 This obsession with the allure of the backstage ignores one key fact; the real magic happens weeks, months earlier in the Burlesque Workspace. 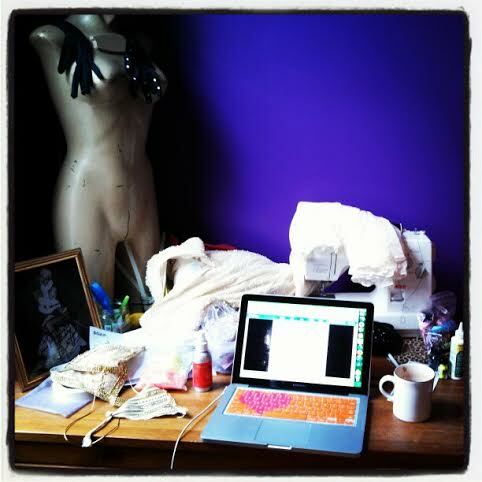 The place where we cut, sew, glue and drink too much coffee. It’s the scene of 2am tears of frustration when you realise you sewed the zip in the wrong way (again!) and the place of 9am triumph when the crystal glue is set and it’s finally all come together. 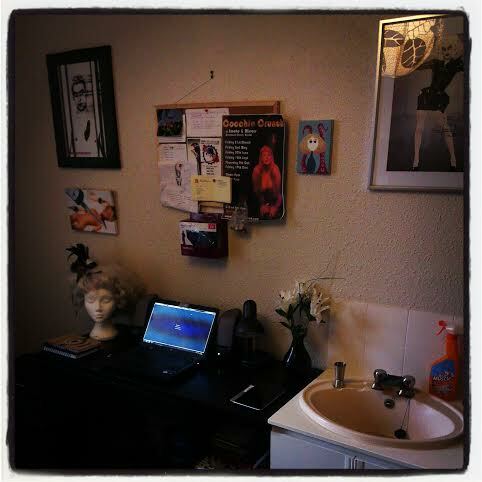 With Burlesque Dancers frequently being city dwellers, these workspaces only occasionally exist in their own space. Often, it may be a coffee table in the centre of the living room, a kitchen table that we’ve long given up hope of ever being able to eat at again, a desk in the corner of the bedroom that is never used for paperwork. 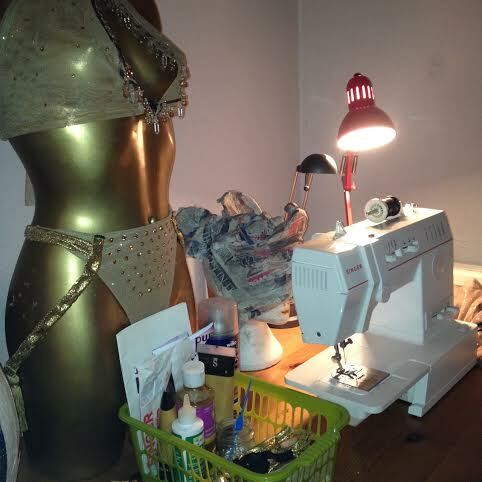 These spaces overflow with fabric, pins and hot glue sticks and are a testament to the creativity and diverse skill set possessed by every Burlesque Dancer and performer I know. 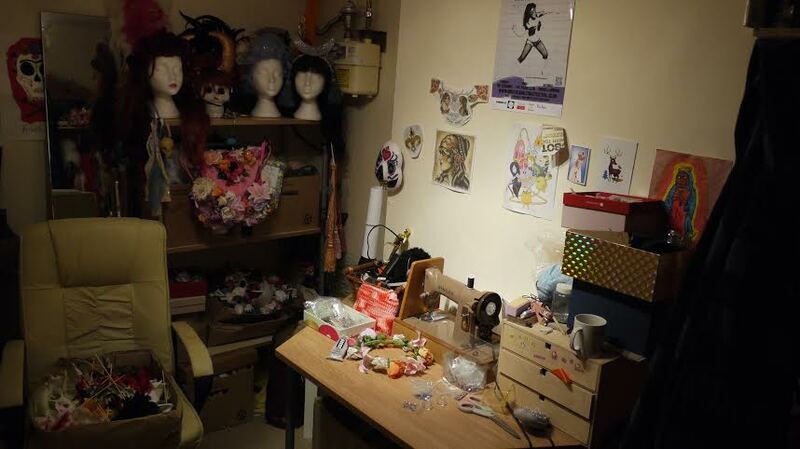 Here, these dancers share their workspaces and give you an insight to the what happens before we take to the stage. I’m intrigued by the costume on Sandy’s ladykin! They are beautiful spaces, aren’t they? 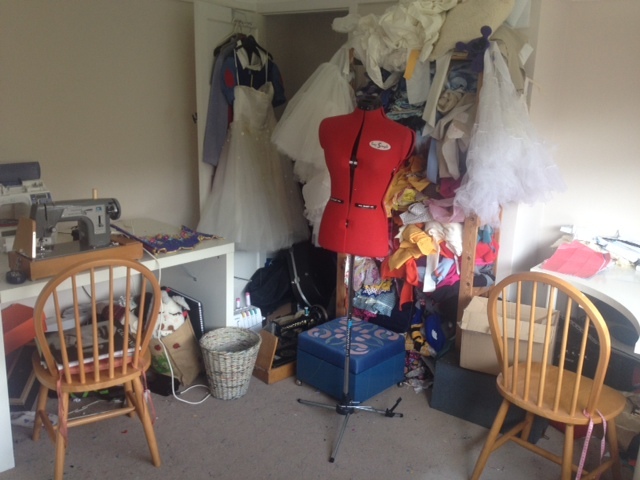 Thanks for a great article – it’s a lovely rare privilege to see other creative spaces! I guessed it was, I love it! This entry was posted on July 10, 2014 by coochiecrunch in Coochie Crunch Blog and tagged Ally Katte, Backstage, Darlinda Just Darlinda, Dis Charge, Jennifer Valentine, Lou Leigh Blue, Sandy Sure, Tuesday Laveau, workspace.